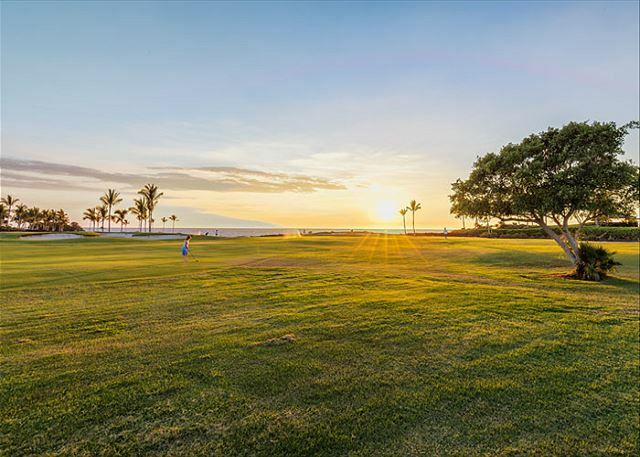 Enjoy a spacious garden setting in front of this villa as you enjoy an amazing ocean view. This two bedroom Halii Kai villa has been beautifully decorated to ensure your every need is fulfilled on your vacation. 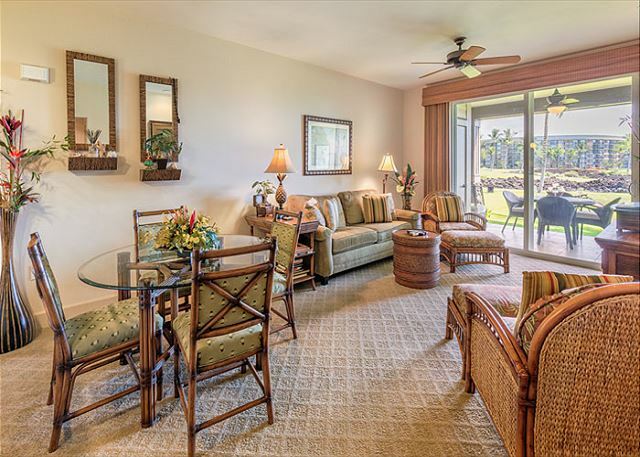 The living room has been thoroughly furnished with a large sofa and chairs in which to relax comfortably while enjoying your view. You will also enjoy a 50 inch plasma television in the living room. The dining room has a table and six chairs. The gourmet kitchen has been fully stocked for all of your cooking needs. 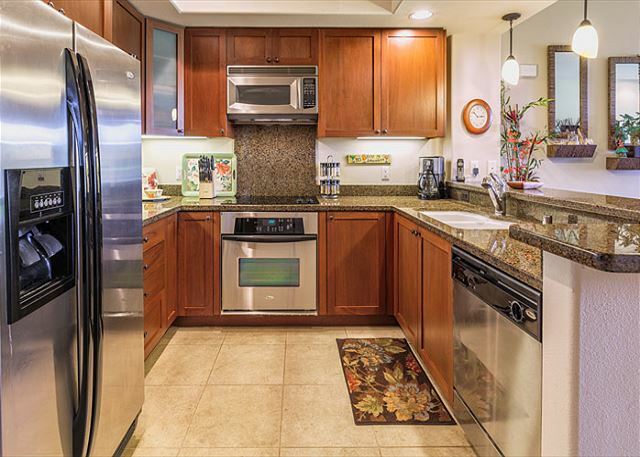 Enjoy granite countertops and upgraded appliances in this spacious kitchen. 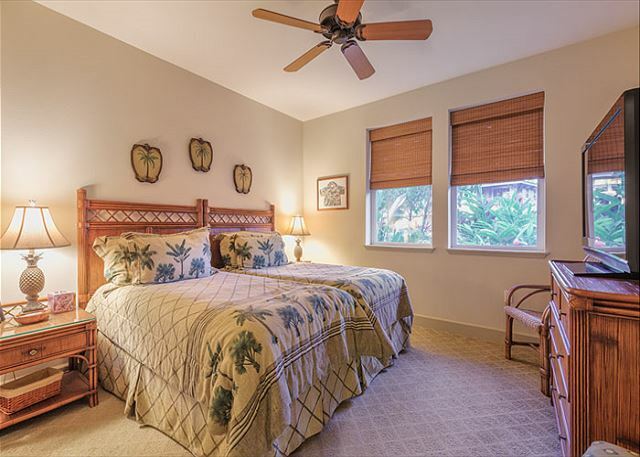 This Halii Kai villa's master bedroom features a king size Beautyrest mattress ensuring a great nights rest. 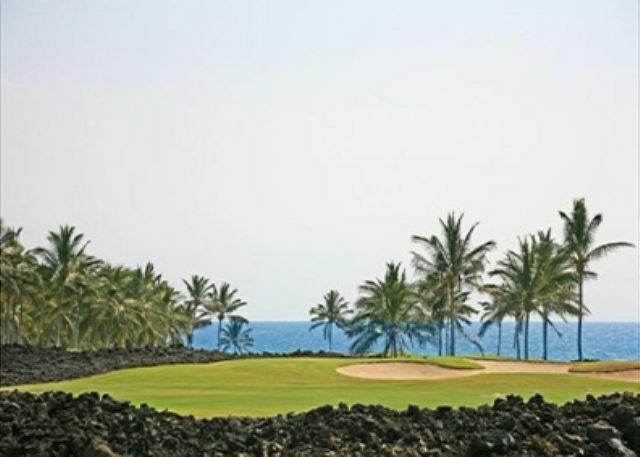 You will also find a 42 inch plasma television with a DVD player in the master bedroom. Attached to the master bedroom is the master bath. 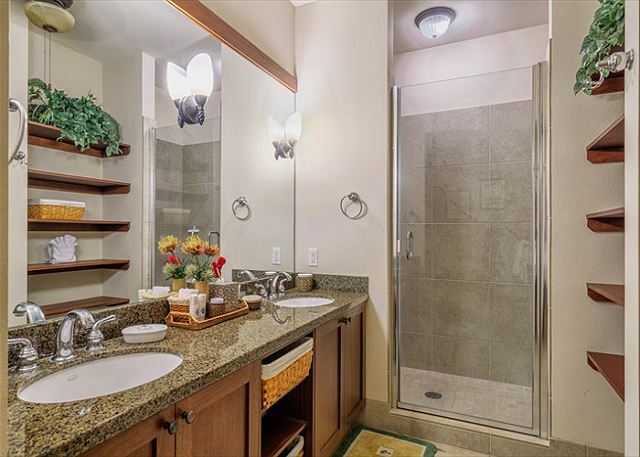 The master bath features a large walk in shower with granite counter and dual vanities. 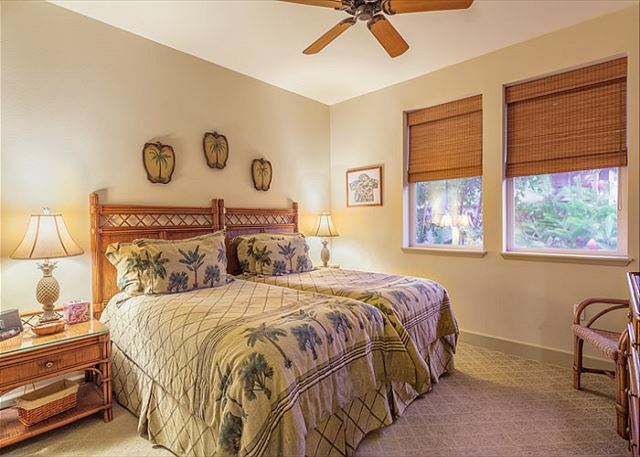 The guest bedroom has two twin Beautyrest mattresses, which can be converted to a king size bed upon request. 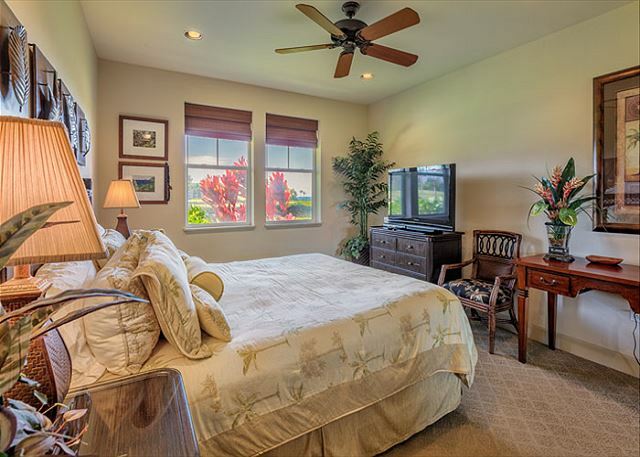 Enjoy a 42 inch plasma television with a DVD player in this bedroom also. The guest bathroom is adjacent to the bedroom and has a combination tub/shower. While staying at this Halii Kai villa, enjoy iPod and iPhone docking stations for easy listening in all rooms along with wireless internet. 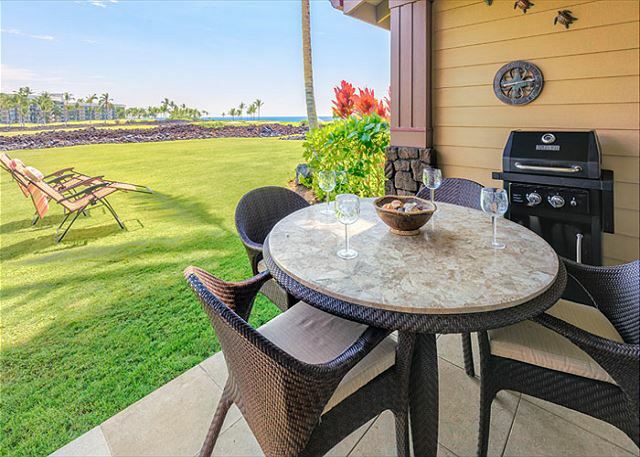 There is also a grill on the lanai for your use.